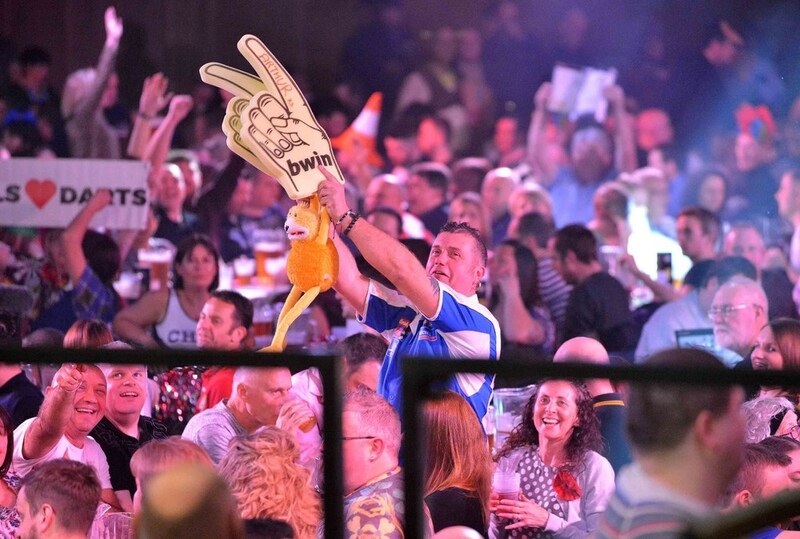 KRZYSZTOF RATAJSKI enjoyed a dream bwin Grand Slam of Darts debut with a 5-3 win over former champion Raymond van Barneveld on the opening day at the Aldersley Leisure Village in Wolverhampton. 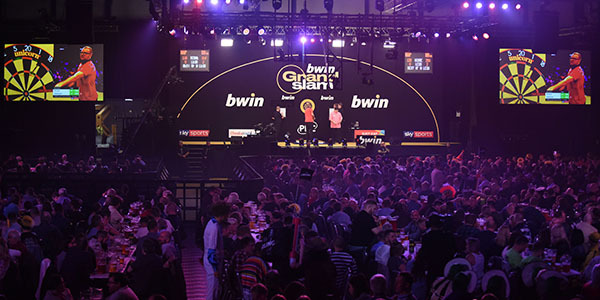 Day one of the £450,000 event saw all 32 players in action, with the eight seeded PDC stars pitted against the eight BDO representatives. A winner of back-to-back Players Championship events, Poland's Ratajski battled back from 3-2 down thanks to some high-pressure finishing to get off to a winning start in Group B. "To beat such a legend of the game in Raymond is an amazing start for me," said Ratajski, who will now play Michael Smith in Sunday's second round of group matches . "I held my nerve to hit the 72 to go 4-3 up and then of course to hit the winning double and now I can take that confidence into my match on Sunday." Smith, who missed darts to win the World Series of Darts Finals title last weekend, took 16 attempts to hit the winning double in his 5-4 success over Adam Smith-Neale. 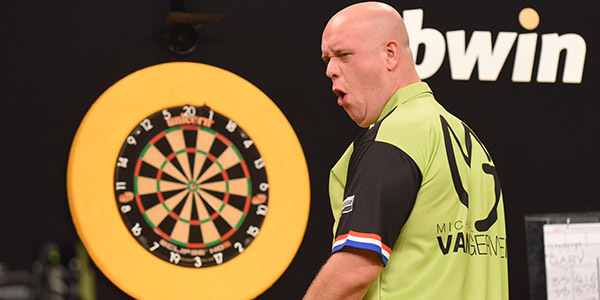 Michael van Gerwen opened his bid for a record-breaking fourth Grand Slam title with a stunning 112.66 average, the third highest ever seen at the tournament, in his 5-1 defeat of Gary Robson. The world number one fired in six 180s in his opening Group A tie to continue extend his winning run in Wolverhampton to an incredible 22 matches as he aims to land the £110,000 top prize. "I think I played really well, my scoring was phenomenal," said Van Gerwen. "I always want to put the pressure on myself to perform better because winning is what I'm all about." Van Gerwen will now take on Jonny Clayton, who punished ten missed doubles from Joe Murnan to run out a comfortable 5-2 winner. 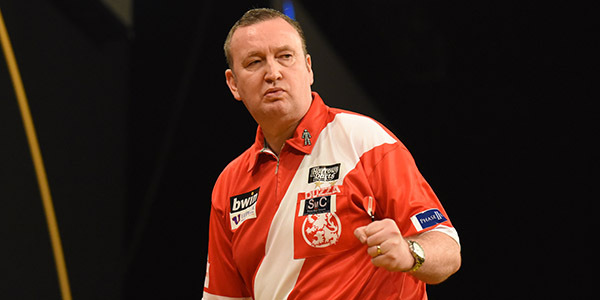 Lakeside Champion Glen Durrant also enjoyed a comprehensive 5-1 triumph over European Championship runner-up Simon Whitlock in Group F.
A quarter-finalist at last year's event, Durrant continued his good form in Wolverhampton and he will now meet newly-married Gerwyn Price who wrapped up a 5-2 victory over Andrew Gilding. "I love every second of playing in this event, the crowd is just amazing," said Durrant. "I'm feeling good and I'm playing well so who knows how far I can go this year." Last year's runner-up Peter Wright who came through a tense encounter with Welshman Jim Williams in Group E which saw Wright miss five match-darts to allow Williams to take the match to a nervy deciding leg. With Williams poised on 95 to win the tie, Wright fired in a perfectly-timed 171 before pinning double four to claim the two points and he will face Max Hopp next. 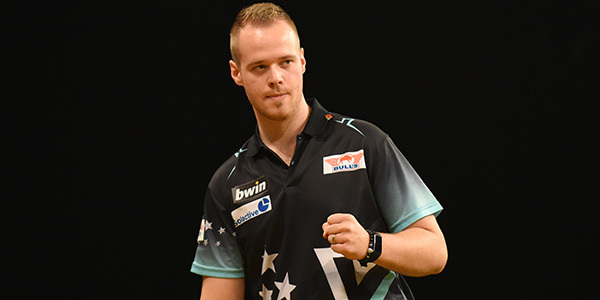 The opening game of the tournament saw German number one Hopp come back from 2-0 to win five of the last six legs against Josh Payne 5-3, including a 123 finish on the bullseye for a 5-3 win. In Group D Ian White produced an impressive 104.6 average in his 5-1 win over Steve Hine, while World Matchplay and UK Open champion Gary Anderson opened his bid for a first Grand Slam crown with a 5-2 win over German Michael Unterbuchner. Austria's Mensur Suljovic got off to a winning start in Group G with a solid display to beat former Lakeside Champion Scott Mitchell 5-2, and Stephen Bunting landed a 170 checkout in his 5-3 win over young German Martin Schindler. World Champion Rob Cross took his chances to secure a 5-2 win over Mark McGeeney as the Lakeside runner-up missed 20 darts at double in Group H, and World Youth Champion Dimitri Van den Bergh produced an assured display to beat Ryan Searle 5-3. In Group C European Champion James Wade began his charge for a third successive TV title with a 5-0 whitewash of Dutchman Wesley Harms and he will now take on Keegan Brown, whose 153 finish proved to be the turning point in his tight 5-4 win over Mark Webster. Saturday's winners will face each other on Sunday, with Saturday's losers facing each other. The final group matches will take place on Monday and Tuesday, with the top two players from each group progressing to the last-16 knockout stage. For ticket information, and details of car parking and shuttle buses, visit www.wolvescivic.co.uk or call 0870 320 7000.